Project Fiji Christmas Card Kits are Ready NOW! As you know, Momma and I will be going to FIJI!!! Thank you alll soooo much for your help with orders! Both Momma and I spent lots of $s personally to reach our goal. WE both have just about every single set and accessory in the catalog (lol...). We had more $s to spend to reach our goal and I decided to design Christmas Card Kits. Below are the 4 designs. Each full kit contains the stamp set(s) clear, cut paper for 25 cards, and other expendable basics. Each supplemental kit contains cut paper for 25 cards and other expendable basics. I have schedule 'open Fiji Stampin' for a few weekend afternoons next month (or let me know when you would like time). You can use any needed accessories to complete your project. Just bring your kit (full kit and supplemental kits contain materials for 25 cards) and your basics. Welcome to my website... I am so happy you have stopped by. The stamp set I've chosen is Baroque Motifs. I love this set. While designing the cards attached, I tried to create cards with very different styles. The Butterfly card below uses the stamp set Elements of Style and the butterfly die. The color combo is directly from the new color coach (one of my favorite new tools). Can't you imagine this card in blues, or pinks? Oh, I used the regals dsp pad... love that too! Flower Boquet. As you can tell from all the other photos - I adore the scrolly stamp in this set. I challenged myself to use a different stamp. Turned out nice, huh? Man cards are always hard to design. I figured out why... we are GIRLS! If we follow our heart, we are usually liking girly stuff. Again, I challenged myself to design a man card. Again, colors right from the color coach. The paper with the sch-woofs of dust is white, I sponged it with suede, then crumb cake (I didn't type craft there...) and finally with bashful. The cowboy was stamped with staz-on (love that smell) on a windowsheet. The rope is supposed to be his hat, but put a bunch of linen thread over his hat. Okay, I am liking this card! It's my husband's favorite! Here is my wedding card. This card was super simple to make... It's an elegant card - perfect for a wedding or anniversary! This project uses the scroll/swirl as a tree branch to hold ornaments. I'm so pleased with the end result. I used the words from Peaceful Season... they are perfect. After this project was assembled, it looked a bit boring. I felt the need to bling! Notice the pearls on the ornaments? Sure, I went thru about a half package - but what a card! Thank you for visiting my site... I hope you have fun on the tour. Feel free to book mark my site, or subscribe. I'd love to hear from you too! This project is for all those proud family members that have a graduation coming up this summer. This set is in the summer mini. The Summer Mini catalog begins today!!! I'm sure you have your favorite stamp sets... I certainly do! The minute I saw this set, I knew it would become my best friend! I love it. I have a feeling we'll be using this set more often than not... I hope you like it too! The butterfly is a single stamp - All A Flutter... it's very nice! I hope it makes it to the new catalog in July! I used the Vanilla Shimmer Smooch Spritz on this project. Some of the projects have the spritz all over each layer, others on just the lower layer. May I say Baaa Ling??? A few stampers asked me about heat & stick powder... This project is my answer. Man card - oh, it's so hard to make a man card and be 'feelin it'. Ya know??? I love this fold/layout... There are far too many choices with this project... Oh well. I can't wait to see what you come up with! 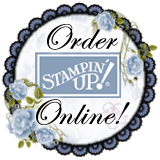 Stampin Up introduced Simply Adorned Charms during convention in July. WE all loved them. A few lucky convention attendees won them... we all were SO envious! The charms are so well made. I thought it would be fun to make one charm design per month. I will provide supplies to make a design for the 1 x 1.25 charm. If you don't have a charm, or have a different size charm and are not interested in getting this size - you can still participate in this bonus project (I will provide materials each month thru December). If you don't have a charm - get one. If you are not sure you want a charm - you can still make the designs and give them to a friend that does have a charm... or get a charm and give as a gift in December. The charms are nice as a cell phone charm (little ones) or, stampin basic supply tote decoration. If you like a different size charm more than this size - you can still make your design and punch/cut to fit once you get home. The charms are well constructed. The front has beveled glass. The back is flat. The closing latch mechanism is both snap and magnetic. They come with a green SU logo piece of cardstock that doubles as a perfect template for getting the exact perfect size paper... It also comes with a thin piece of foam for any design without bling or embellishments... so the designs fit snug. Plain and simple, Following My Heart project!!! d. Applied a thin, but solid amounts of glue (any glue that will dry clear) in the areas for my #1 color of glitter. e.	Dump off extra glitter into container. f. Let glitter/glue dry (dry enough so it won't have any chance of dripping if you flick the acetate). g. Once really dry, flick the acetate hard so alllll extra glitter is removed. This one is my favorite! The center of the white flowers have silver glitter on the back... Oh, if you apply the glue and glitter and it runs outside the staz-on lines, there is a fix. Let the project dry a bit... then push the glue/glitter back into place. The timing is everything... you want the glue a bit firm, but not solid. not too wet caz it will leave a trail and mess . Okay, it's okay to have 2 favorites, right? This is my favorite too... I love the dress with dazzling diamonds! This humming bird is for Kathy. I brought the upcoming mini catalog to each of the monthly groups to share. Kathy enjoys stampin and all the projects/stamp sets, but when she saw this set (with the humming bird), everything stopped. She HAD (HAS) to have this set... because of the humming bird. I wanted to do something with the bird, I was afraid the glitter wouldn't show enough. It does... understated elegance, huh?